Win a $50 dining certificate to use this Valentine’s Day, or after, from your favorite Bazaar del Mundo restaurant! Share a photo on Facebook, Twitter or Instagram of yourself with the love of your choice eating at your favorite Bazaar del Mundo Restaurant Group location – Casa Guadalajara, Casa de Pico, Casa de Bandini or Casa Sol y Mar. 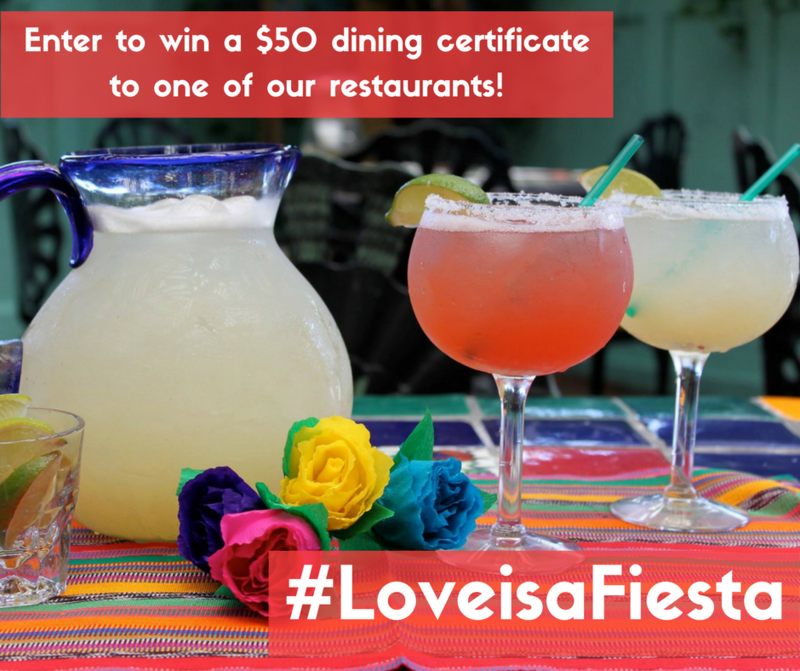 Tag the restaurant and use the hashtag #LoveisaFiesta, and you could win a $50 dining certificate to use for a special Valentine’s Day dinner, or any time in 2017! Submit your entries before Friday, February 10. Two entries will be selected at random to win. Winners will be announced on Monday, February 13. *One entry per person, per restaurant, please.